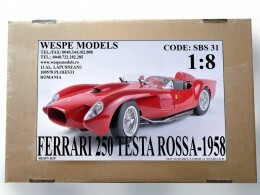 In our Special Big Scale (SBS) section, there are two categories: the 1:10 and 1:8. 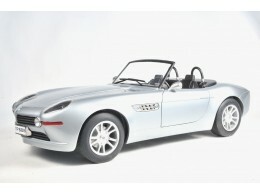 These scales contain a large collection of retro and classic cars. 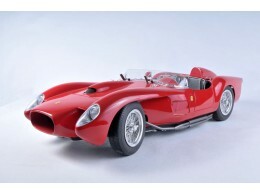 Currently, the biggest demand in production is the scale of the 1:8 model cars. 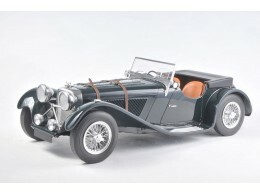 In this biggest scale, the earliest antique model in production is a Bentley 3.0L, dating back to 1923. An interesting addition to this list is the display box. The cover is made from Plexiglas, the base is made from natural oak or a dark ash wood. This fits all the large-scale models. Once you have created your account with us, you can shop at any time and add anything you wish to purchase, to your shopping cart. You can then check out after you are finished with your selections. You will be contacted with the anticipated delivery date for your order. 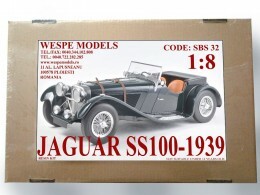 All of these 1:8 scale model cars are available only by order, just like the rest of our models, such as the military truck models and the civilian models. The wait period for ready-made models is four weeks, excluding the time it takes to ship the order. 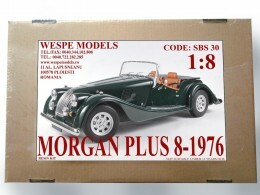 The classic car model kits take only two weeks to ship. For further clarifications, you can contact us through our information department and we will be glad to answer all of your questions. If you are ordering within the EU, there is no added cost involved in shipping. 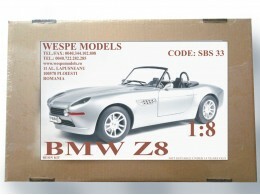 We provide the transportation for EU countries, the customers outside of the EU should contact us or their courier for shipping options to pick up the scale model cars. The services offered by the courier will also determine the anticipated delivery date of your order. For any queries regarding shipping and prices, please contact our friendly information department.